BERLIN – The German journalist behind an explosive report suggesting widespread doping in world athletics traveled to rural Kenya, pursued dead-end leads and made a lot of fruitless trips before nailing the story that has rocked global sport. Hajo Seppelt, 52, says he is not a crusader but is driven by a desire to report the facts about the behind-the-scenes world of athletics, which he believes is plagued by a conflict of interest between promoting the sport and combating doping. Seppelt’s reporting for his latest documentary built on another story last year, in which he made claims of systematic doping in Russia, angering sports authorities there. “After the first documentary was aired and there was world-wide attention, I thought there must be a follow-up because people are interested in knowing if the Russians have drawn some consequences,” he told Reuters in a telephone interview. Seppelt’s reporting took a new turn when a whistleblower posted him secret data from the International Association of Athletics Federations (IAAF), stored on a memory stick. The data indicated suspected widespread blood doping in athletics between 2001 and 2012 and has prompted the head of world athletics to dismiss as “laughable” any suggestion that his organization had been negligent in drug testing of athletes. Working with journalists from Britain’s Sunday Times newspaper, Seppelt, from German broadcaster ARD, set about corroborating the data and crisscrossing the world to meet sources to flesh out his story. He traveled to the Caucasus, Austria, Lausanne in Switzerland, London, Monte Carlo, Prague, Australia, Kenya and the United States. Not all the trips were worthwhile. Coming only weeks before track and field’s showpiece world championships in Beijing, his report claims endurance runners suspected of doping had been winning a third of the medals at Olympic Games and world championships in the 2001-2012 period. The ARD/Sunday Times reports did not say that any athletes had failed doping tests, only that the tests had been abnormal, which can sometimes be a sign of cheating. 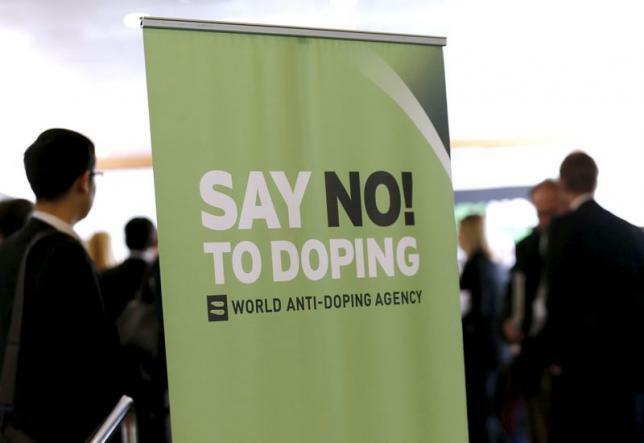 Seppelt believes there is a contradiction in athletics between the authorities’ desire to see new world records, in order to promote the sport, and the fight against doping. “I think the best way forward would be to take away all doping control procedures from the federations and put them in really independent hands,” he said. His latest report includes footage from a hidden camera purportedly showing Kenyan athletes being injected with performance enhancing drugs. ARD also alleged corruption among Kenyan officials who wanted to cover up doping by the runners.